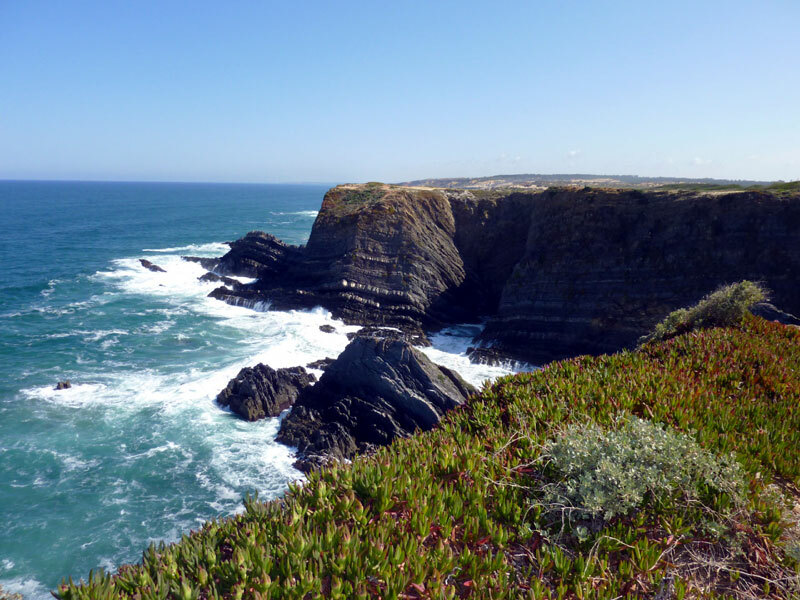 We really did not explore the coastline of Portugal until we arrived at the southwestern corner of the Alentejo region. 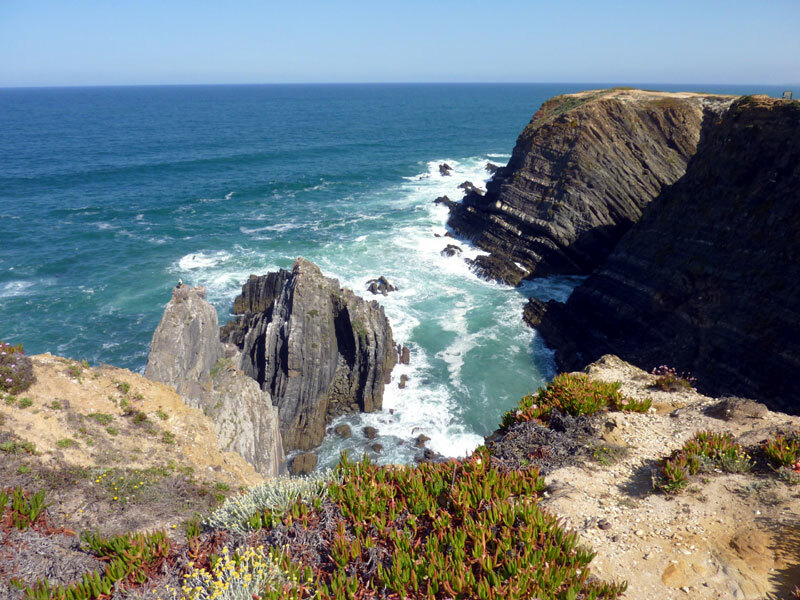 It is mostly a rocky and rugged coast as seen here at Cabo Sardao. Very beautiful. Looking southwest at Cabo Sardao. 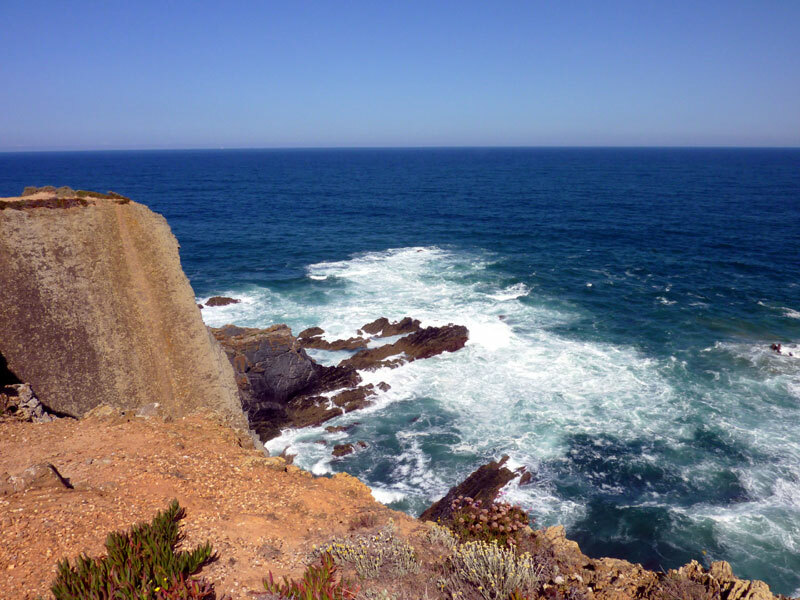 Looking northwest at Cabo Sardao. If you look real close, you might see a couple of bird nests that are shown at higher magnification in the next picture. 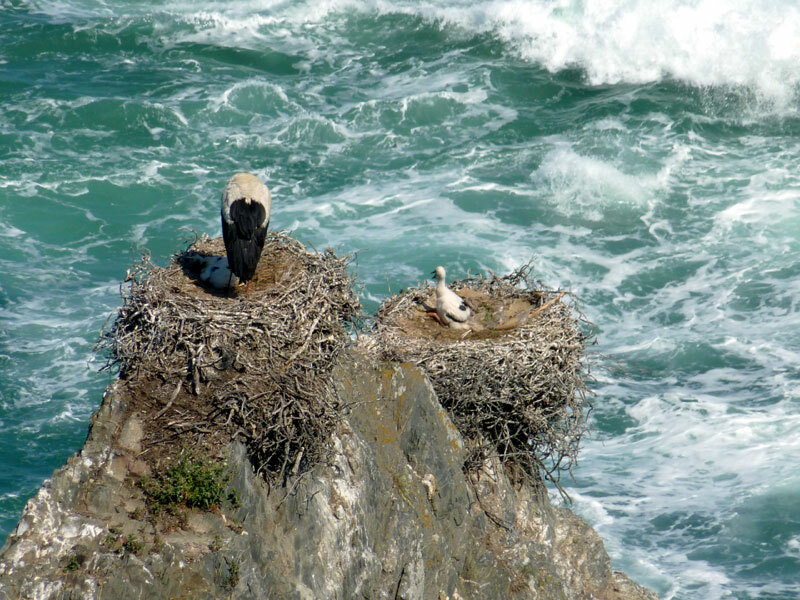 Birds nesting along the shore of Cabo Sardoa. 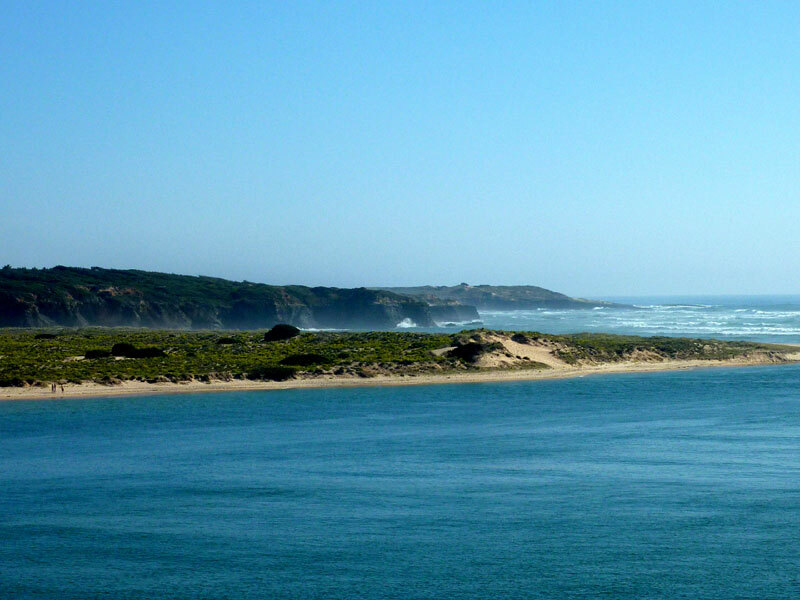 The coastline where the Rio Mira encounters the Atlantic Ocean at Vila Nova de Milfontes. 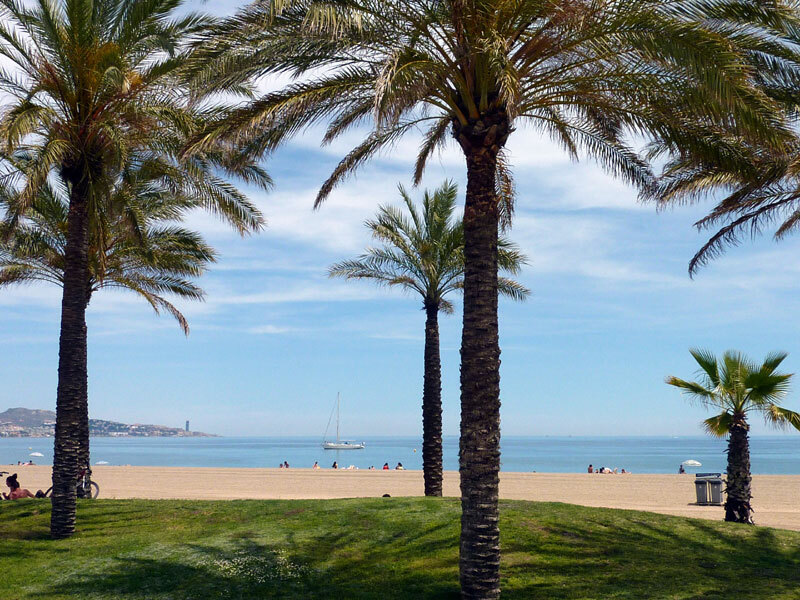 The beach at Malaga, Spain. That is the Mediterranean Sea out there. 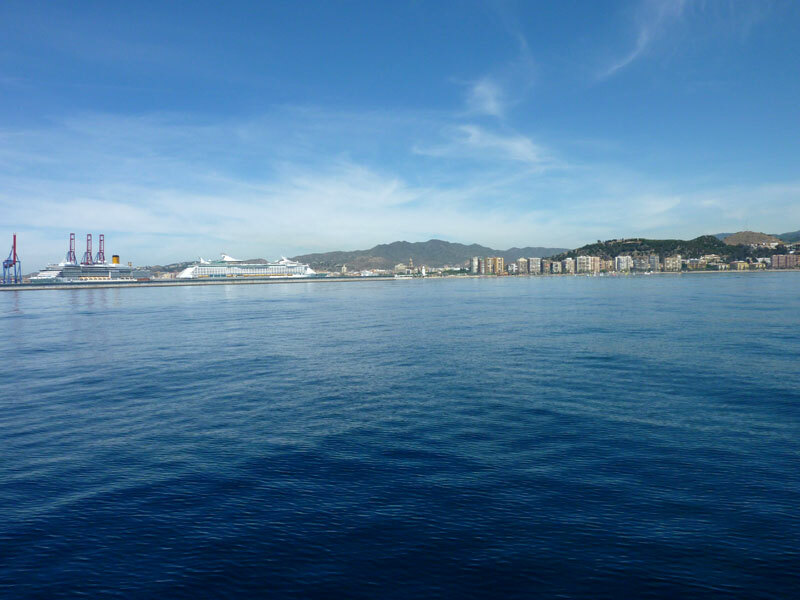 This is the port city of Malaga, Spain, as seen from the Mediterranean Sea.